In December 2012, the death of the famous actor Kanzaburo Nakamura bought Kabuki to the attention of international newspapers and magazines. A New York Times obituary reprinted words from an old interview with Mr. Nakamura in which he expressed concern that Kabuki had lost touch with its original meaning: ‘extraordinary’ and ‘shocking’. The Economist, a British news magazine, worried over the future of Kabuki given its rather Spartan demands on actor’s bodies and minds. Some have found it hard to imagine how Kabuki’s tight-knit acting clans might continue to entice younger generations given that even modern theatre and dance has a tough time finding an audience. The workshop I attended might have given pessimists food for thought. The small crowd of about fifteen or so curious Fukuoka residents included nurses, department store workers, a few students, and a producer of boutique bento boxes. Two women had come all the way from Osaka to attend Hashigo Nakamura’s class. Many of them had never seen live Kabuki or really knew what to expect. Knowing very little about Kabuki, I was expecting Hashigo-sensei to resemble a pantomime dame (a cross-dressing role in annual family shows normally given to minor British celebrities). 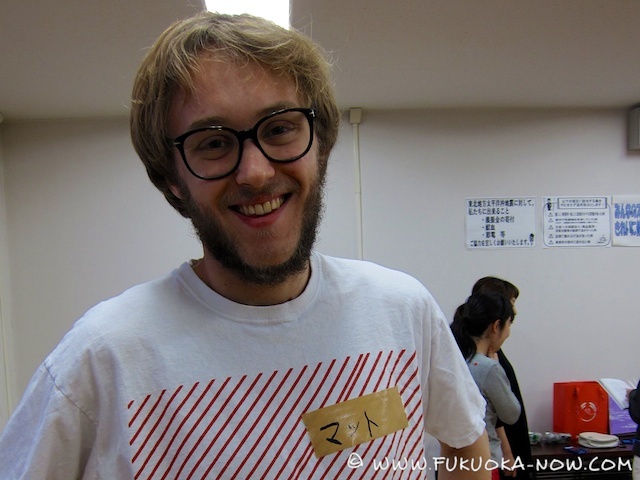 In fact, Hashigo-sensei was an unbelievably supple, energetic young man with a large grin. He gave off an infectious sense of living absolutely in the here-and-now. I had thought Kabuki would involve a lot of hammy sword play, a bit of bellowing and face-pulling and a limp wristed impression of some old fashioned Japanese women. I wasn’t altogether wrong but some of the instructions from Hashigo-sensei felt like we were attending a finishing school tutorial. We chanted a mantra together, willing ourselves towards a neater, less slouchy way of standing: ‘mimi’ (ears) ‘kata’ (shoulders) and ‘koshi’ (the waist). 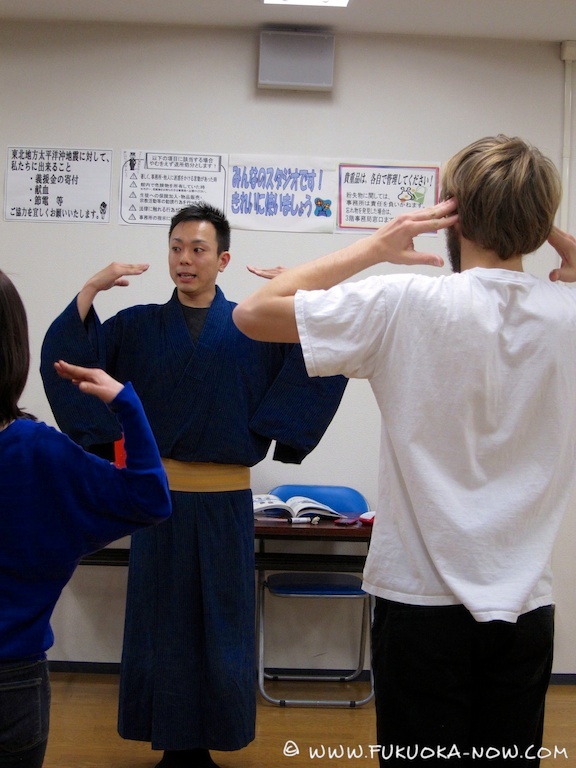 Hashigo-sensei pointed out how body language can change the way you are treated. If you walk into a room with your shoulders hunched forwards and your chest collapsed in on itself, you don’t look nearly as impressive as someone whose ‘mimi, kata, koshi’ are all lined up nicely. With good reason, as his own crafted posture made him seem relaxed and a little intimidating, Hashigo-sensei seemed to see Kabuki actors retaining a nobler way of standing that we, who stood like sacks of potatoes, had lost. Kabuki, we were taught, was about balance, core strength and flexibility. I was well below the average in these skills in a room which contained one or two women who must have been at least 70. Hashigo-sensei looked around the hall, nodding in approval, but settled on me with a little exasperation. My daily routine of shouldering a heavy satchel, doing kanji practice and staring down iPod and computer screens didn’t set me up well for being beautifully aligned. I was very grateful for Hashigo-sensei’s attention, despite his poking or nudging my body back into position every five minutes. 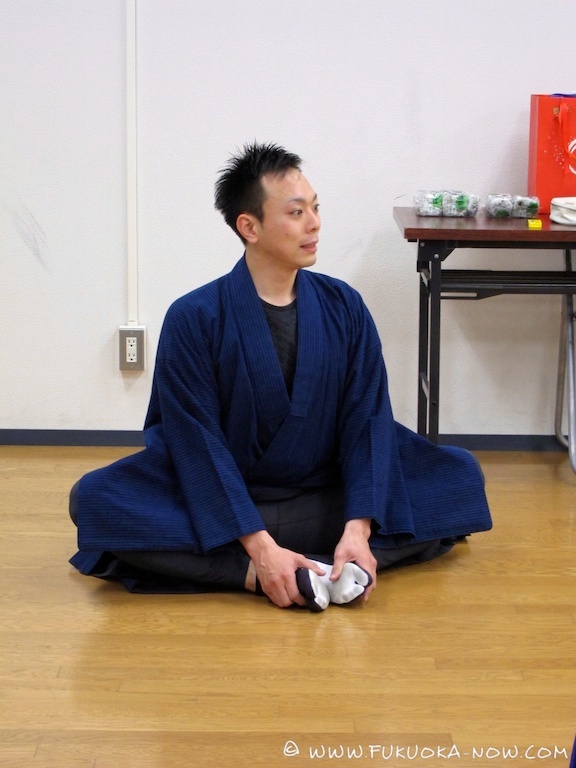 Breathing and the voice are also among the most important tools in a Kabuki actor’s toolbox. We were instructed to breathe in, to fill our chests full of air and, when we breathed out, to keep our chests high and our stomach’s tight. It is from a full chest of air, and not shrilly from the back of the throat, that a Kabuki actor can deliver lines to knock back his enemies with his voice alone, accompanied by a terrifying gaze. Having covered the basics each of us were ordered to ‘walk like a samurai’. ‘Not great’, Hashigo-sensei announced on our first try. He was more complimentary of our attempts at playing onnagata, men acting in female roles, although the workshop was mainly comprised of women. In the early days of Kabuki, female theatre troupes were the norm but were outlawed when it became clear that many of the actresses doubled as prostitutes. The men who thereafter stood in for women in female roles were called onnagata and even today, some actors go to extraordinary levels to feminize themselves, on and off the stage. Our amateur drag acts were more superficial. To make a contrast with our samurai swagger, we crossed our arms, the head tipped coyly to one side, lips anxiously pursed, knees a little bent and feet moving one in front of the other. We continued to represent other stock caricatures from the Kabuki stage. Given my dire posture, it wasn’t surprising that I was most applauded for my portrayal of a lowly, hunchbacked, ingratiating seventeenth century shopkeeper. After a break, we were able to see Hashigo-sensei in action. He executed a well-known showy pose readers would recognize from pictures or videos of Kabuki. He slapped his chest with the palms of his hands, drew big circles in the air and pushed them out to the sides with his palms facing outwards. He lifted one leg up and stamped down into a squat like a New Zealand Rugby player doing the haka, one foot forwards with a warrior’s readiness. He gave us a ‘bring it on’ look with a roll of his head and a terrible stare. He yelled deeply from his powerful chest, his face turning bright purple and his eyes bulging like a novelty squeezy toy. If you ever thought Kabuki was just a lot of fancy silliness, you wouldn’t after seeing the veins standing out on Hashigo-sensei’s forehead. I studied English Language and Literature at Oxford University and am currently studying Japanese at the Japan University of Economics in Fukuoka. I enjoy writing, directing and watching plays, theatre and dance. I am interested in learning more about Japan’s performing arts. As it can be tricky, especially with elementary Japanese, to track down the best shows I started this guide as a way to help English speakers stay up to date with what’s on. 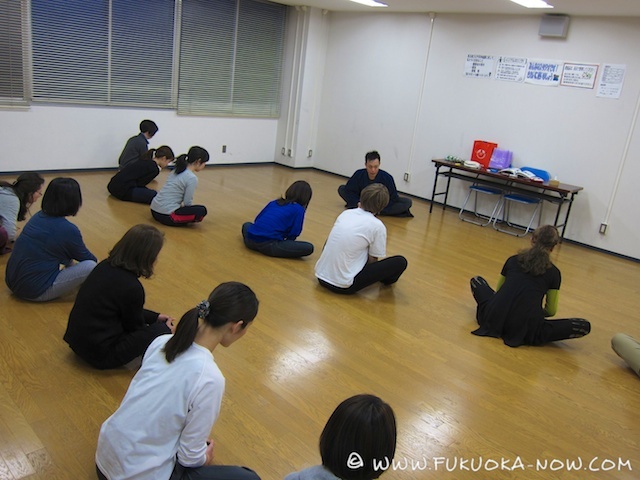 Keep checking the Fukuoka Now blog for up to date information about the performing arts in Fukuoka.